Sarasota, Florida, a tropical oasis of natural beauty offers white sandy beaches and sunsets on the Gulf of Mexico as well as incredible island lifestyles. 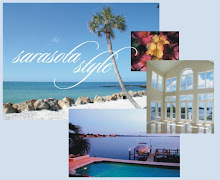 We hope you will view our Sarasota, Florida video below and invite you to experience the allure of our Sarasota paradise. Sarasota is a wonderful place to call home, with plenty of assets in addition to its beaches. You’ll find performing arts, world-class shopping and dining, advanced education, and a prosperous business community. For permanent and seasonal residents of Sarasota Florida, fishing and boating, year-round championship golf, collecting seashells along our famous beaches, strolling through art galleries on Palm Avenue in downtown and watching incredible sunsets are just a few of the choices of activities available along our barrier islands. Beaches, boating, tennis, golf, dining, shopping, theater, there’s an activity here for everyone. Elegant or casual, luxurious or affordable, you can find something to do minutes away from your Sarasota home. Residents, whether permanent or seasonal, can be as active or laid-back as they choose in Sarasota. From the casual, Old-Florida neighborhoods of Anna Maria Island and northern Longboat Key, southward through the luxurious enclaves and waterfront condos of southern Longboat, St. Armands, Bird and Lido Keys, to the casual beach homes and condominiums of Siesta Key and the private Gulf-to-bay estates of Casey Key, Sarasota FL real estate features an array of lifestyle choices.